Transport for London has started the hunt for firms to handle highways maintenance across the capital. Transport for London has started the hunt for framework contractors for a deal worth up to the £300m to strengthen bridges and flyovers across the capital. Transport for London will name up to six winning contractors in March for £200m worth of repair work to its network of bridges,flyovers and tunnels. Transport for London has shortlisted Balfour Beatty, BAM Nuttall, Costain, Hochtief and Skanska for a major programme of bridge and tunnel strengthening in the capital. Transport for London has unveiled plans to call bids for a series of professional services frameworks worth a total of £70m a year. The Mayor of London, Boris Johnson, has praised London's lane rental scheme after roadworks disruption was cut by more than a third at traffic hotspots in the capital. New ‘Dutch-style’ roundabouts and low-level cycle signals could be introduced in London as early as next year. A new road safety plan called ‘Safe Streets for London’ is targeting a 40% reduction in the number of people killed and seriously injured on the capital’s roads by 2020. 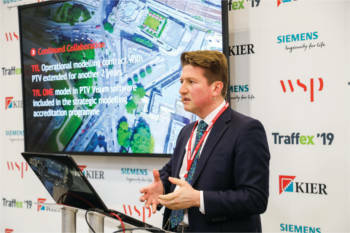 Highway engineering will form part of a new set of six framework agreements that are being developed by Transport for London (TfL). Transport for London (TfL) is set to start work on the next phase of its Cycle Superhighway programme this month. A behind the scenes documentary that features the people who keep London’s transport network flowing aired for the first time on BBC2 this week. BAM Nuttall has been awarded one of four positions on Transport for London’s structures and tunnels investment portfolio. HGV drivers will be taught safer driving skills through courses run by FM Conway’s London Highways Academy of Excellence. London's transport commissioner Sir Peter Hendy has warned Londoners to plan ahead in an effort to avoid road disruption during this weekend’s cycling festival. Variable message signs supplied by Mobile Visual Information Systems (MVIS) helped to keep London’s traffic network flowing during the UK’s largest cycling festival. The enforcement of advanced stop lines is being stepped up in an effort to improve safety for cyclists on London’s roads. Transport for London (TfL) is consulting Londoners on a proposal to increase parking time from 20 to 30 minutes at 600 Stop and Shop parking bays across the capital. The Department for Transport (DfT) has announced a series of measures designed to improve cycle safety in London. Around 1,000 cyclists staged a “die-in” protest outside Transport for London’s headquarters on Friday (29 November) in an effort to raise awareness of cycling safety in the capital. New low-level traffic lights designed for cyclists have been authorised for use following safety trials. Harvard Engineering has secured a contract with Transport for London (TfL) to install a wireless monitoring and control system for street lighting across the capital’s busiest roads. Transport for London (TfL) is investing more than £17 million to help improve cycle safety across the capital. Transport for London (TfL) has set out plans to make lorries safer for cyclists. 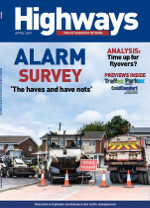 Highways Magazine has launched an editorial advisory board. A £300 million programme of investment will see 33 of London’s most notorious road junctions upgraded to make them safer and less threatening for cyclists and pedestrians. The largest investment in London’s road and street network will see £4 billion spent on transforming the capital. Work to strengthen and refurbish the Grade II listed Chiswick Bridge will be carried out by Transport for London (TfL). Blind spot safety technology that can be fitted to heavy goods vehicles (HGVs) will be independently tested by TRL (Transport Research Laboratory). A 22-mile-long underground ring road could be built in central London. Essential road improvement works to Hogarth Flyover in London will take place this summer. Transport for London (TfL) has unveiled plans for the capital’s first segregated cycle superhighway. London’s 6,000 traffic signals will be upgraded after Transport for London (TfL) awarded new maintenance contracts worth around £317 million for up to eight years. Dangerous lorries on the capital’s streets could be banned from next year after Transport for London (TfL) launched a new consultation. Transport for London’s (TfL) director of roads will speak at this year’s Highways Magazine Excellence Awards. RedSpeed International has won a contract to supply around 600 speed and red light safety cameras to Transport for London (TfL). A new £750 million tunnel could be built under the Thames in East London. Transport for London's (TfL) Fleet Operator Recognition Scheme (FORS) has been awarded a Prince Michael International Road Safety Award. Work to replace the Upper Holloway road bridge on the A1 Holloway Road in London has started. Transport for London (TfL) is trialling Qvision Technology’s animated jam cams technology at the Blackwall Tunnel. Archway gyratory in London could be given a radical new look – including segregated cycle routes and additional public space – under plans unveiled by the Mayor and Transport for London (TfL). Major maintenance works will be carried out to the Fore Street Tunnel this weekend (21-24 November) as part of Transport for London (TfL)’s £4 billion Road Modernisation Plan. Construction of Europe’s longest substantially-segregated urban cycleways in London will soon get underway, subject to plans being approved by the Transport for London (TfL) board. Transport for London’s (TfL) board has approved plans for the construction of four new cycle superhighways. Lorries without safety equipment will be banned from London’s roads in an effort to protect cyclists and pedestrians. Transport for London (TfL) has outlined eight new sites for potential 20mph speed limits. Transport for London (TfL) is taking a ‘Games-style’ approach to managing traffic as its £4 billion road modernisation programme gets underway. 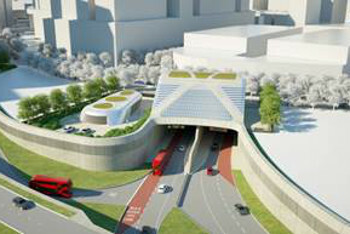 A £25 million project to overhaul Elephant & Castle northern roundabout in London is now underway. Transport for London (TfL) is working in partnership with the freight industry to change how deliveries are made and keep the capital’s roads flowing. Transport for London has released details of hundreds of projects which it's undertaking as part of its Roads Modernisation Plan. Transport for London (TfL) has completed major road improvements at Malden Rushett, Kingston. Transport for London has begun trials of new technology to detect the volumes of cyclists at traffic signals. Work on London’s biggest “cycle-friendly zone” will start next month. Major strengthening of the Hammersmith Flyover in west London has entered its final phase. UK Power Networks has been fined more than £17,000 for roadworks safety breaches. A new junction designed to avoid cyclists being hit by left-turning traffic has been unveiled in London. Work on the £100m refurbishment of Hammersmith Flyover has been completed. Transport for London (TfL) has taken on a record number of apprentices (156) this month (September) as it continues to invest in the next generation of transport professionals. Hundreds more pedestrian countdown timers will be installed across London over the next year. Mike Brown has been appointed as London’s new Transport Commissioner. Transport for London (TfL) has unveiled new measures to ease traffic in the capital and minimise disruption on the roads as major work to improve the network continues. A new retaining ‘green’ wall that runs alongside a section of the A406 North Circular Road in Golders Green has been completed by Transport for London (TfL). Proposals for the Silvertown Tunnel – a new river crossing for east London that would link the Greenwich Peninsula with the Royal Docks – have gone on display. The new London Freight Enforcement Partnership has been setup to take unsafe lorries off London’s streets. The first section of segregated cycle route that will ultimately run from Elephant & Castle to Kings Cross in London has opened. Transport for London (TfL) is considering making major safety improvements to Westminster Bridge and other surrounding roads. 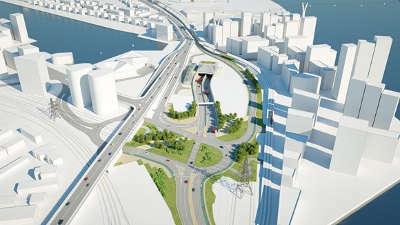 The Mayor of London – Boris Johnson – has set out plans to transform cross-river travel in the capital with 13 new tunnels and bridges proposed. Road traffic information will be displayed on taxi-top digital advertising boards in a trial aimed at cutting congestion in London. Transport for London’s (TfL’s) Construction Logistics and Cyclist Safety (CLOCS) programme has been awarded the Premier Prince Michael International Road Safety Award. Almost £150 million will be spent on improving transport services and town centres across London. Dana Skelley, director of asset management for surface transport at Transport for London (TfL), has been recognised with an OBE in the Queen’s New Year’s Honours list for services to transport in the capital. Transport for London (TfL) has begun construction of safety improvements for pedestrians and cyclists at the Bow Interchange in east London. Transport for London (TfL) has launched the third edition of its Streetscape Guidance, which features a toolkit that can be used to exercise best practice design and create high quality links and places across the capital. Four schemes that will transform streets in the capital have been awarded grants as part of Transport for London’s (TfL’s) Future Streets Incubator Fund. Leading infrastructure services company FM Conway has launched a trial with Transport for London (TfL) to test the use of a high recycled asphalt mix for the surface course of a strategic road. Transport for London (TfL) were forced to close the northbound Blackwall Tunnel for most of Tuesday (24 May) after leaking fluid from a mobile crane caused damage to a 1.1km stretch of the carriageway. London’s first Quietway route, a continuous sign-posted route which links Greenwich and Waterloo by quieter backstreet roads, is now open. British Telecom (BT) has been ordered to pay more than £8,000 for “dangerous and disruptive” roadworks, which took place on the Transport for London (TfL) network. 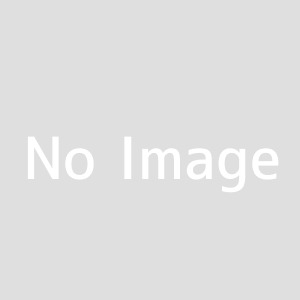 Transport for London (TfL) has successfully prosecuted telecommunications company Vodafone as part of its commitment to ensure roadworks are completed on time. The Mayor of London Sadiq Khan is pressing ahead with plans for Cycle Superhighway 11 between Swiss Cottage and the West End. The Mayor of London, Sadiq Khan, and Transport for London (TfL) have confirmed they intend to go ahead with the North-South Cycle Superhighway to King’s Cross, after plans were supported by 70% of respondents to its consultation. Plans to improve roads and pedestrian facilities in King’s Cross, London, have gained support from the majority of people living in the area. Transport for London (TfL) has successfully prosecuted energy company London Power Networks, a subsidiary of UK Power Networks, for failing to serve required notices before works. Transport for London (TfL) has prosecuted telecommunications company Vodafone for the second time this year as part of its commitment to ensure that roadworks cause as little disruption as possible to road users. Transport for London will generate at least £13 million to reinvest in the capital’s transport network after agreeing a deal with Outdoor Plus to bring digital advertising screens to road underpasses. A total of £770 million will be spent on cycling improvements in London over the next five years. 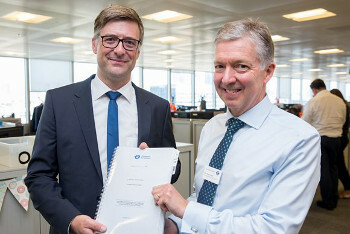 Jacobs has been awarded a two-year contract by Transport for London to provide integrated impact assessment (IIA) services to support development and finalisation of the revised Mayor’s Transport Strategy (MTS). Transport for London has created more than 175 new apprenticeship positions and say it is welcoming applications from people who, "want to play their part in keeping London moving, working and growing and making life in the city better". Work which Transport for London says will transform Westminster Bridge and the surrounding area into a safer, more pleasant place for pedestrian and cyclists is underway. The race to secure a £1bn contract to build the Silvertown Tunnel project in east London has narrowed to just two bidders after a joint venture between Skanska and Austrian outfit Strabag withdrew. 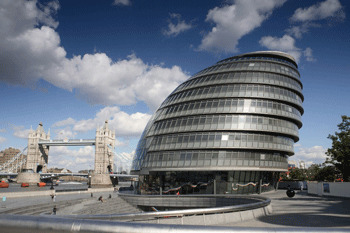 Transport for London has admitted that its funding system for roads is unsustainable and it has no long-term solution. PTV Group’s UK growth has continued with three significant new contracts. 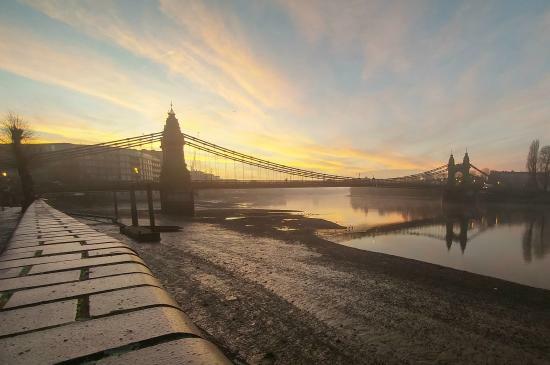 One of London's most beautiful landmarks the iconic Hammersmith Bridge, a 132-year-old Grade II listed structure, has had to be closed to traffic indefinitely after safety checks revealed critical faults.